The HPS-1a is a very small, light weight (only 1.25 lbs), power supply that is most useful for hams who take their transceivers when traveling. It is capable of operating most 12 Volt, 100 Watt transceivers in normal voice SSB or Morse CW modes. It would make a great power supply for DXpeditions. It is especially useful when used with smaller transceivers. It is much smaller than the Icom IC-706, IC-7000, FT-100D, etc. The HPS-1a is guaranteed to operate your 12 volt radio at up to 100 Watts output using Morse CW or Voice SSB. You have to see it to believe it. It will power your radio continuously for normal QSOs... in fact, you can contest with it! Your radio uses power only 35% of the time when transmitting CW, and about 25% during normal Voice SSB operation. 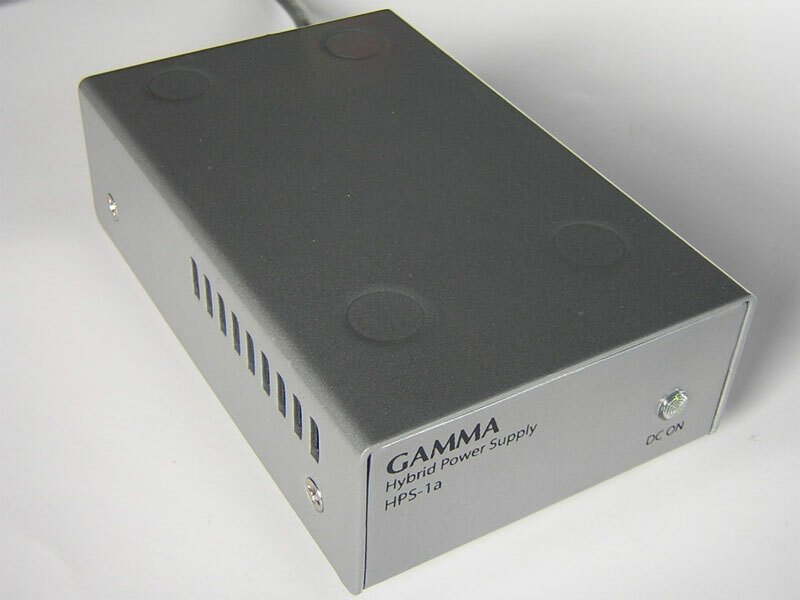 The Gamma HPS-1a provides full power capability by the use of Ultra-Capacitors which act like short term batteries. Between spoken syllables and between Morse code characters, the Ultra-Capacitors are being recharged, ready for the next high current pulse requirement. This allows the total weight and size of the power supply to be reduced to 1/3 that of any other power supply on the market. And it operates equally well on input voltages between 100 and 250 VAC, 50 or 60 Hz. The HPS-1a is over-voltage protected, and current limited. Also virtually RF noise free.